Shetterly will share the story of how black “human computers” used math to change their own lives — and America’s future. 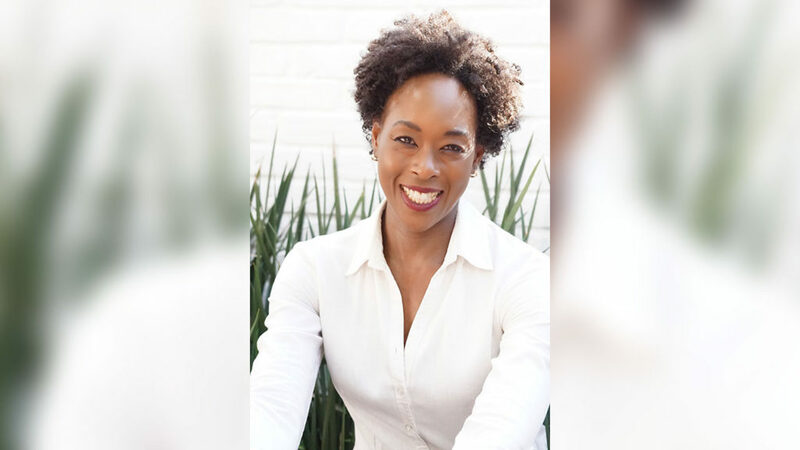 Best-selling author Margot Lee Shetterly. Best-selling author Margot Lee Shetterly will discuss her book, “Hidden Figures: The American Dream and the Untold Story of the Black Women Mathematicians Who Helped Win the Space Race,” when she delivers Quinnipiac University’s annual Black History Month lecture on Wednesday, Feb. 8, at 7 p.m. at Burt Kahn Court, 275 Mount Carmel Ave. This lecture is free and open to the public. Shetterly will share the story of how black “human computers” used math to change their own lives — and America’s future. Set against the rich backdrop of World War II, the Space Race, the Civil Rights Era and the burgeoning fight for gender equality, her talk will bring to life the stories of Dorothy Vaughan, Mary Jackson, Katherine Johnson, and Christine Darden, who worked as mathematicians at NASA during the golden age of space travel. Teaching math at segregated schools in the South, they were called into service during the WWII labor shortages. Suddenly, these overlooked math whizzes had jobs worthy of their skills at the Langley Memorial Aeronautical Laboratory, in Hampton, Virginia. Even as Jim Crow laws segregated them from their white counterparts, the women of this all-black “West Computing” group helped America achieve a decisive victory over the Soviet Union in the Cold War. They were part of a group of hundreds of black and white women who, over the decades, contributed to some of NASA’s greatest successes. In this keynote, Shetterly will explore race, gender, science, the history of technology, and much else. She will explain the ways that women and people of color have contributed to American innovation while pursuing the American Dream. In sweeping, dramatic detail, she sheds light on a forgotten but key chapter in our history, and instills in us a sense of wonder, and possibility. The book has been adapted into a new biographical drama film that will be released on Jan. 6, 2017. The film stars Taraji P. Henson as Katherine Johnson, the African American physicist, space scientist, and mathematician who calculated flight trajectories for Project Mercury and the 1969 Apollo 11 flight to the Moon. The film also features Octavia Spencer, Janelle Monáe, Kevin Costner, Kirsten Dunst and Jim Parsons. For more information about Shetterly’s lecture, please call 203-582-8652.